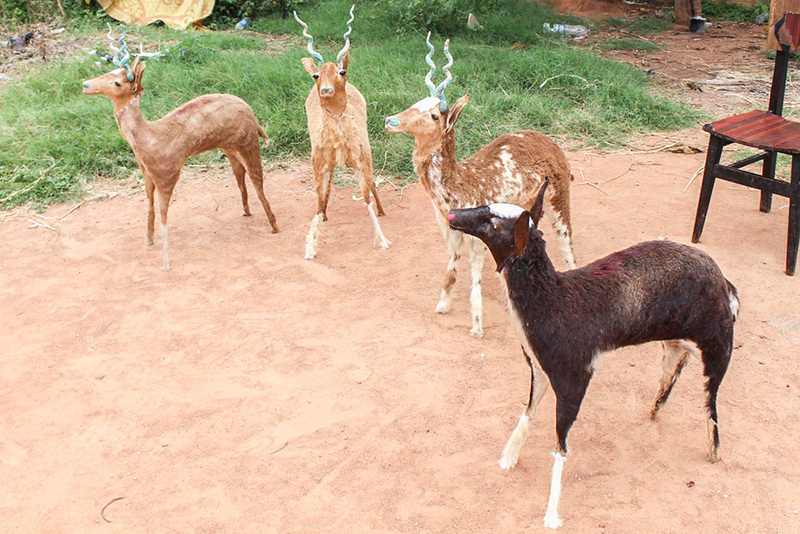 Goat's leather dolls made up of real fur are available in Bengaluru at Shivajinagar. These dolls vary in sizes and cost. 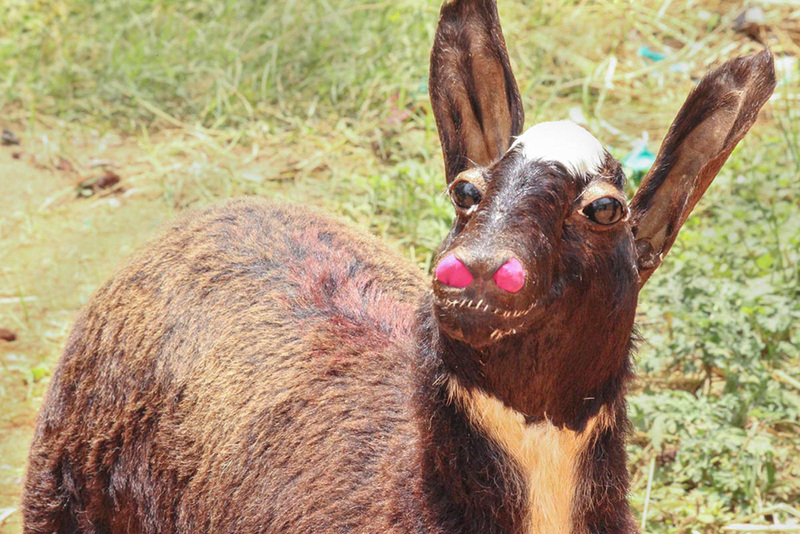 Artisans from the different region who are migrated to Bengaluru are very well versed in making these goat dolls. They make these doll as per the requirements of their clients. 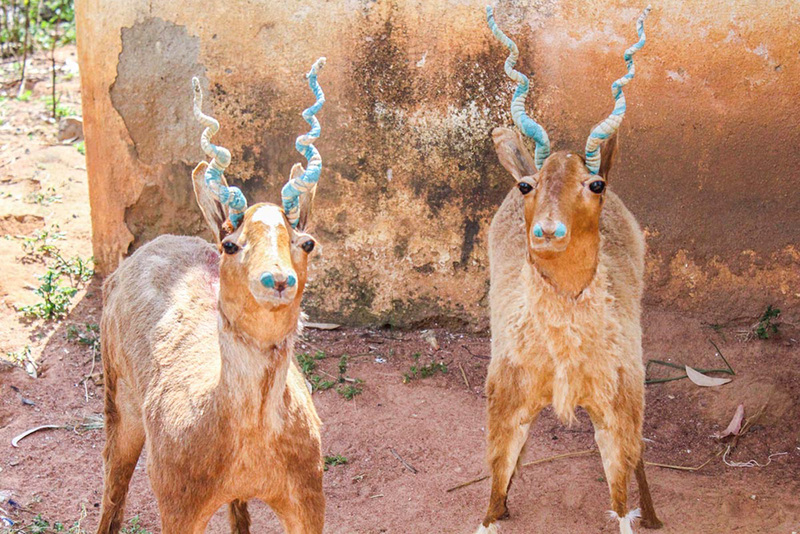 The dolls differ in natural colors as per the availability of the fur in the market and the cost of these dolls ranges from INR 800 to 3000.